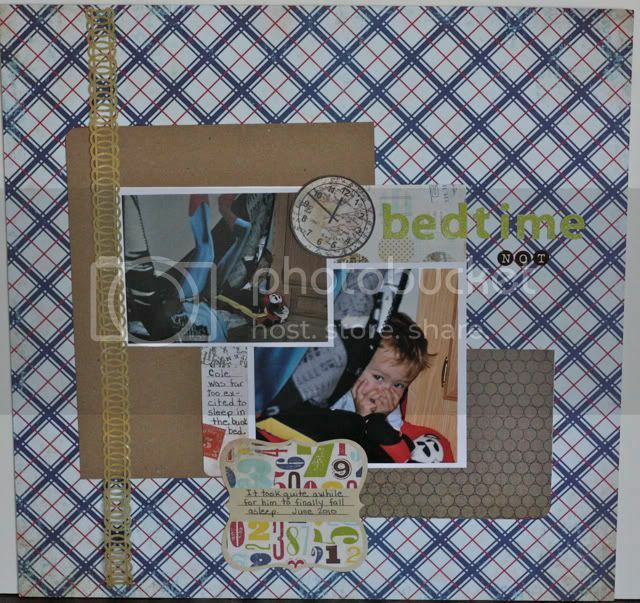 The 2009 Winter Issue of Canadian Scrapbooker magazine showed a layout by editor Katharina Doyle that I wish I could find to show you here but if you have that issue you can find it. 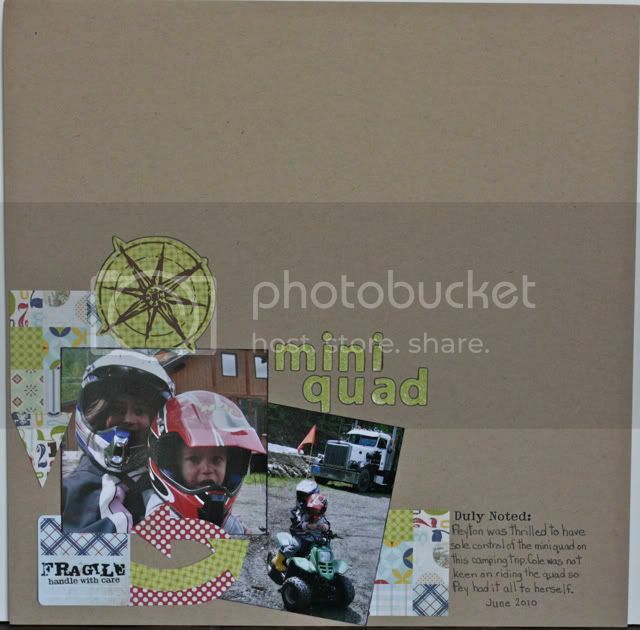 I was very inspired by it and came up with this using Bazzil cardstock, The Girls Paperie diecuts & patterned paper and Sassafrass alpha stickers and Basic Grey rub ons. I've placed my Cricut and Cuttlebug on top so I have easy access to them and have storage for my bible study materials, magazines and monthly scrapbook kits. I am thrilled with it!! I now have more workspace on my table as well some more cube space. Now I am ready to go for the Scrapshotz Heros and Villians Online Crop this upcoming weekend!